I'll start by saying that £49.95 is way too much for what looks to be metal colored plastic and genuine faux wood texture. However, the segregated 7-segment amber LED display looks cool. That almost makes up for the abysmal design of the exterior and the terrible product name. It almost does. 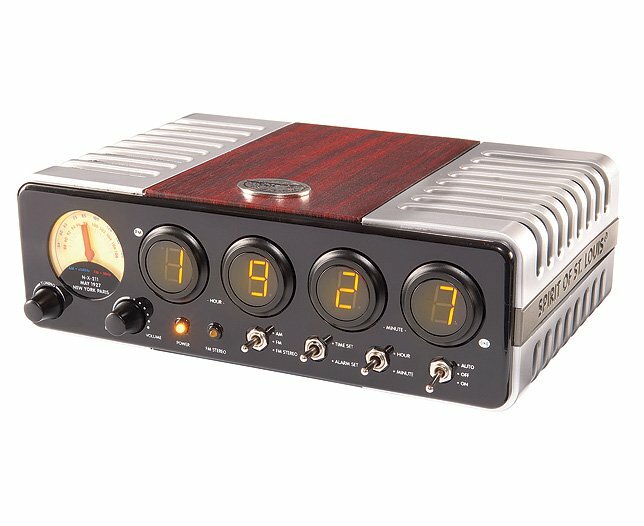 This could be a neat clock if it were just the face (minus the dial) and the radio function was removed. Encase the remainder in a solid metal box and then it would be worth that price. However, anything that looks like it came out of a JC Penny caltalog shouldn't cost more than $20. Calling it a collectable doesn't make it one.